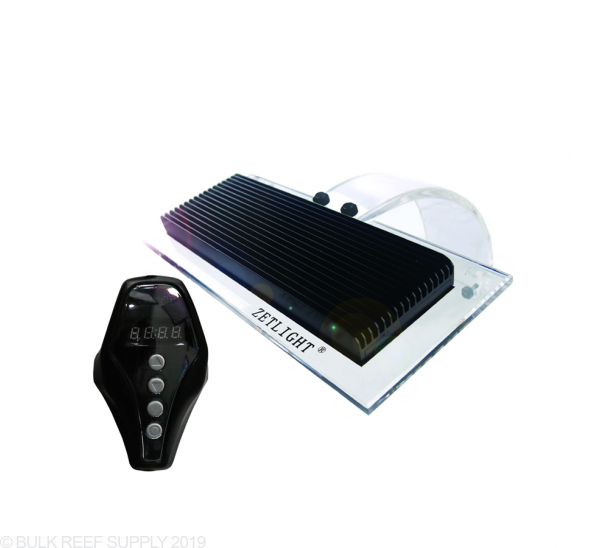 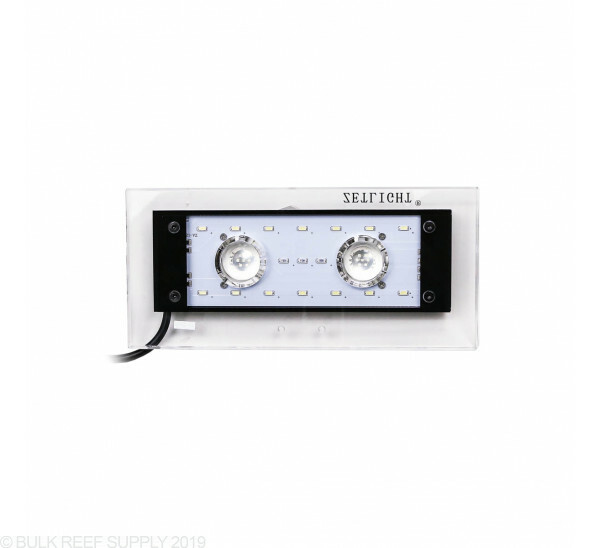 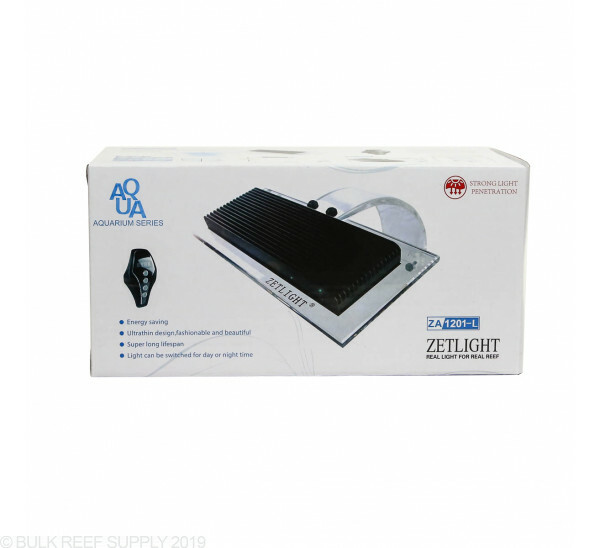 The perfect light for pico reef tanks now with remote and dual optical lenses! 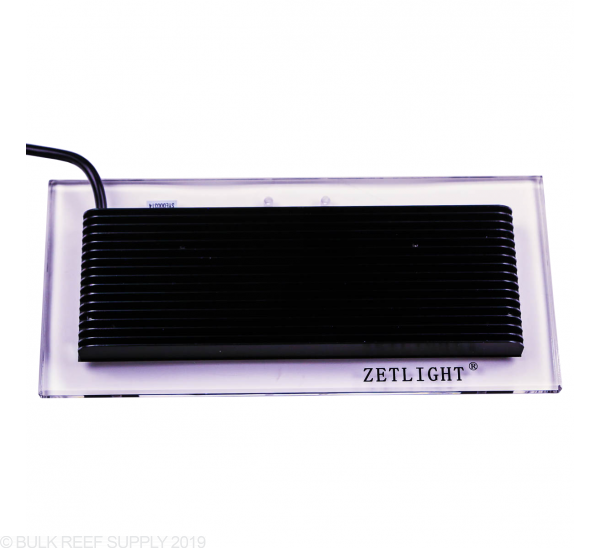 For smaller soft coral and low light LPS tanks, the new optical lens system now transfers more power into the tank. 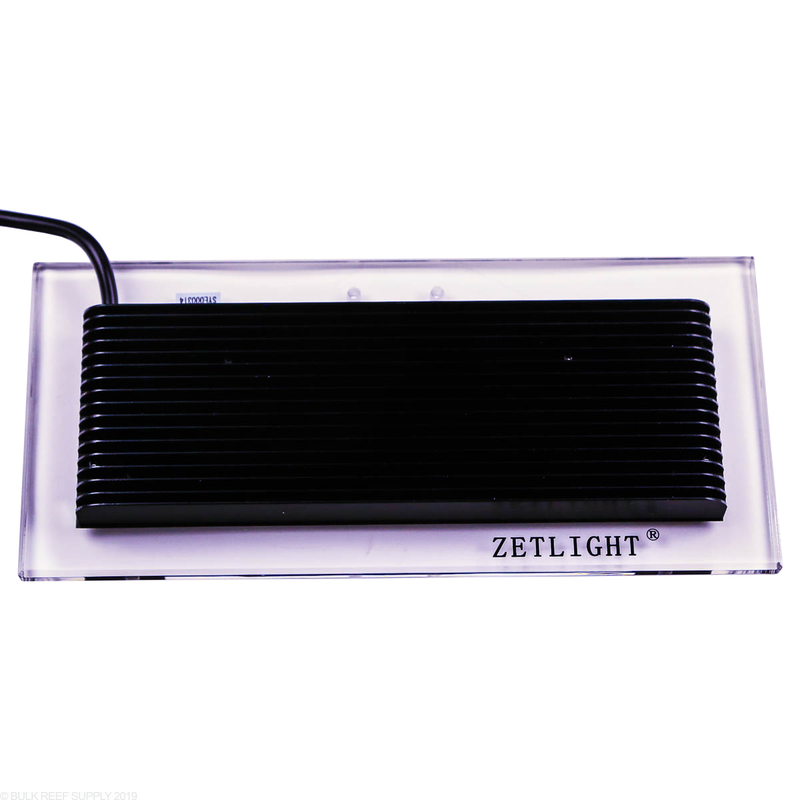 Each light comes with its mounting bracket, acrylic shield, and a wired remote for ultimate control of the ZA1201-T. 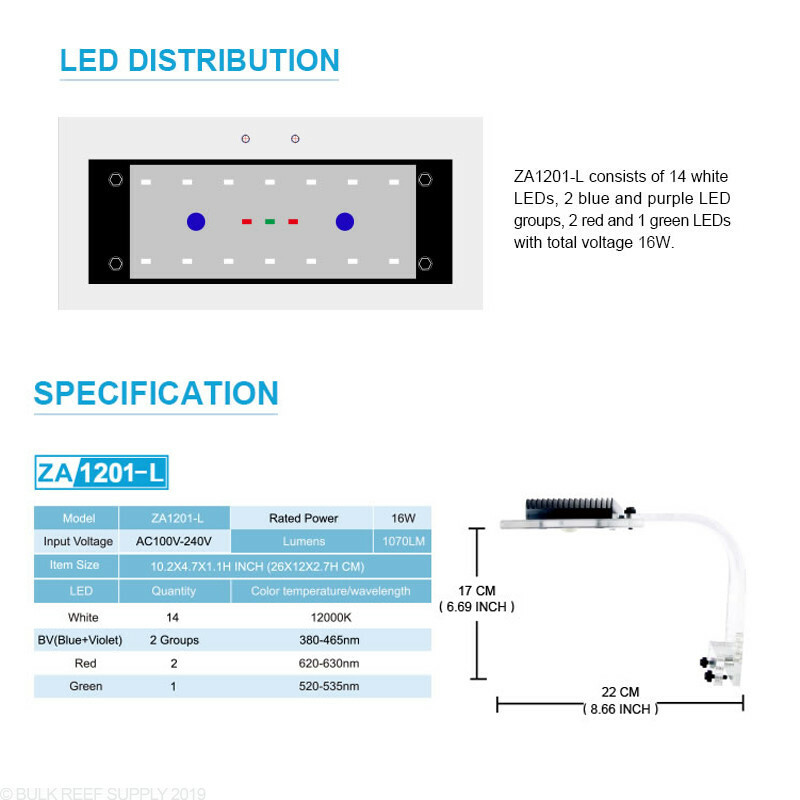 Adjust the brightness of each LED color through 30 different levels. 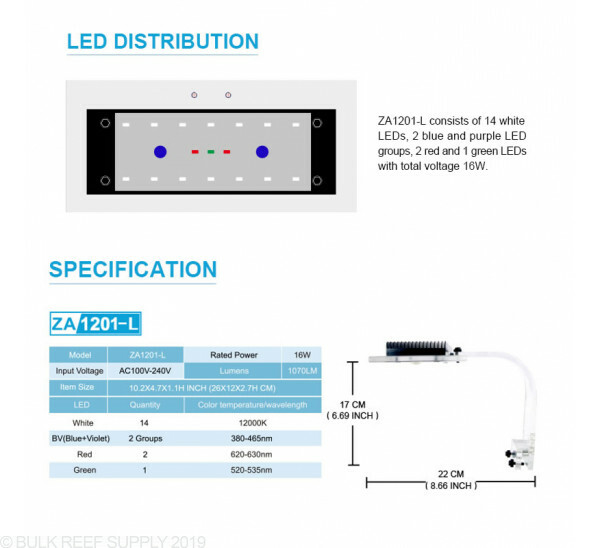 The ZA1201-T is a fanless, Controllable LED light that uses an enlarged heatsink to manage and disperse the heat produced by the diodes. 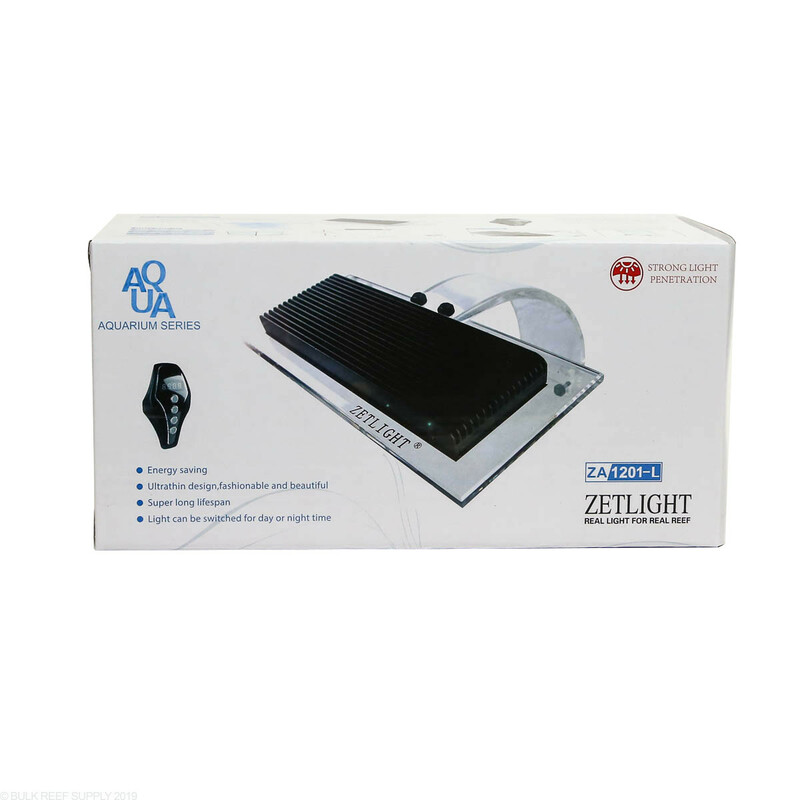 With no fan, there is absolutely no noise generated by the light making it perfect for office or bedroom settings. 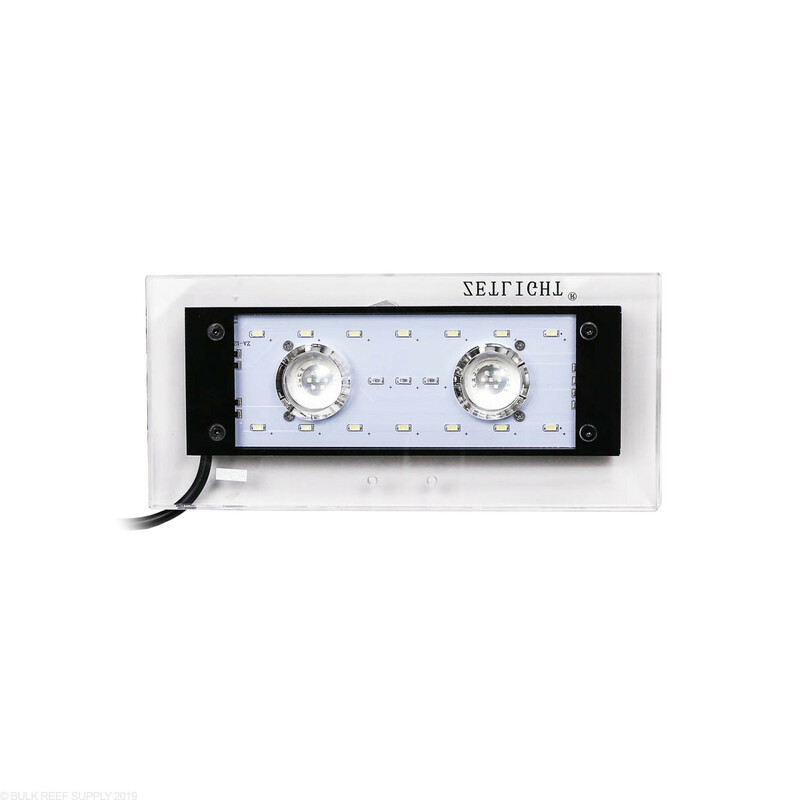 The lights are protected by an acrylic splash guard that accents the lights overall aesthetics while providing a solid mounting location. 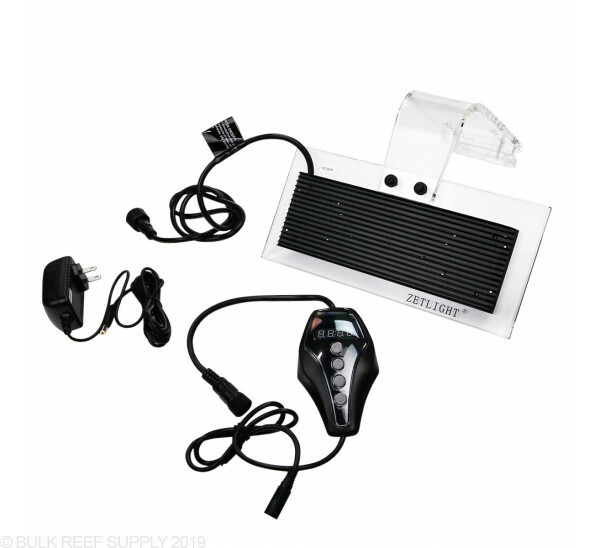 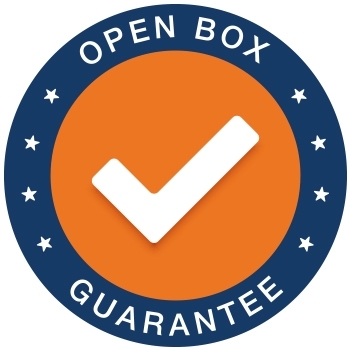 The included mounting bracket can clamp securely on to the back of your tank.